The company uses the word "ultraportable" to describe the machine, as it comes with a 1.1-inch chassis and weighs 2.5 kg. Eurocom has just introduced a new 15.6-inch Shark 5 laptop, powered by Intel Core i7-6700HQ processor and Nvidia GeForce GTX 960M graphics card. The company uses the word "ultraportable" to describe the machine, as it comes with a 1.1-inch chassis and weighs 2.5 kg. The Eurocom Shark 5 supports two memory modules for up to 32 GB of DDR3-1600 memory, one M.2 SSD SATA PCIe Gen2 x2/x4 drive as well as two 9.5 mm HDD/SSD SATA drives for up to 4.5 TB of total storage. There's also a Multi-DVD or Blu-ray burner (depending on a version) on board. The FullHD IPS display is available in both matte and gloss version and can be optionally pre-calibrated for best color reproduction accuracy. Connectivity options include 4 USB 3.0 ports, one mini-DisplayPort 1.2, one HDMI 1.4a, one VGA, audio in/out jacks, S/PDIF, RJ-45 and Wi-Fi 802.11 b/g/n/ac. 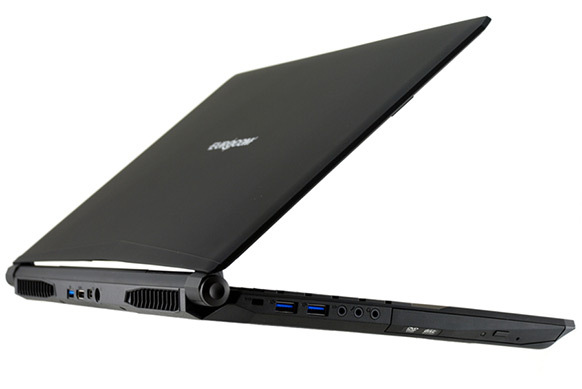 The laptop is prewired for LTE or UMTS/HSPA/3G/4G card module support via an M.2 slot. The notebook comes with a backlit keyboard, built-in fingerprint scanner and embedded TPM 2.0 security chip for data enryption. The 6-cell battery offers 62 Wh capacity and allows for up to 4,5 hours of operation. 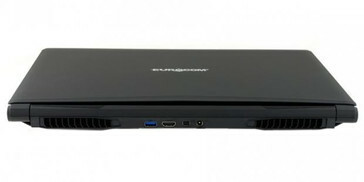 Eurocom Shark 5 is now available via the company's website. Prices start at $964. Eurocom has launched and is now shipping the 15.6” Shark 5 ultraportable laptop with NVIDIA GeForce GTX 960M graphics with 2 GB GDDR5, Intel Core i7 6700HQ processor and with built in optical drive, all in a slim 1.1 inch chassis. 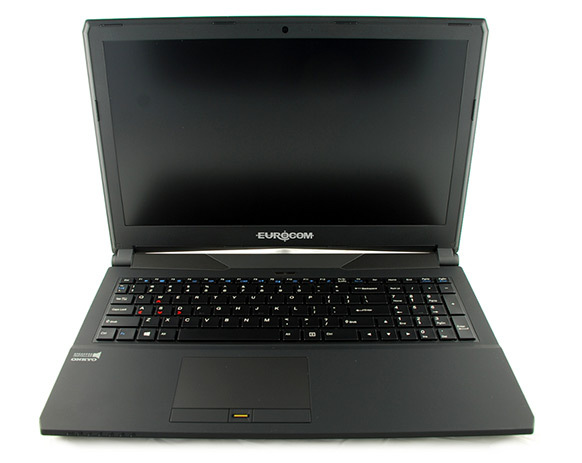 “The EUROCOM Shark 5 is another impressive addition to our line of thin and light upgradeable, ultraportable laptops designed to offer high levels of performance in addition to sleek and classy designs as well as ultra-portability and ease of use. We feel that the Shark 5 really redefines the entry level segment with a laptop that is designed for the everyday power user.” Mark Bialic, Eurocom President. The Shark 5 is prewired for LTE or UMTS/HSPA/3G/4G card module support, through an M.2 slot, so users can have a reliable WAN internet connection on the go. User upgradeability and user configurability are core tenets of all Eurocom systems; the Shark 5 is no different with upgradeable memory, storage, display, wireless card and keyboard. The EUROCOM Shark 5 supports two memory modules for up to 32 GB of DDR3-1600 memory and one M.2 SSD SATA PCIe Gen2 x2/x4 and two 9.5 mm HDD/SSD SATA for up to 4.5TB of storage. 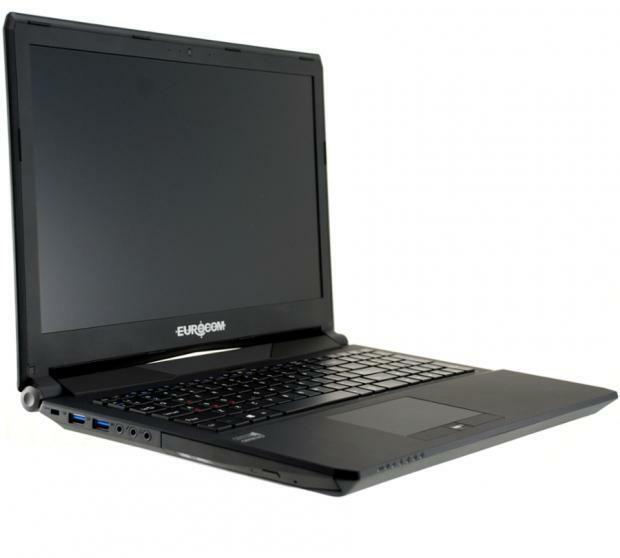 The EUROCOM Shark 5 has an Intel HM170 Express Chipset running the Intel Core i7 6700HQ processor with 4 cores, 8 threads running at 2.6 GHz up to 3.5 GHz, with integrated Intel® HD Graphics 530. Due to Hyper-Threading, the four cores can handle up to eight threads in parallel leading to better overall utilization of the CPU. The i7-6700HQ is rated at a TDP of 45 W including graphics card and memory controller.